Chile just elected a billionaire president. These are the 4 things you need to know. Former President Sebastian Pinera's resounding victory in a presidential runoff election swings Chile back to the right and highlights the increasing number of conservative leaders who have won power in Latin America. With nearly all ballots counted, the billionaire won 54.6 percent of the votes Sunday to 45.4 percent for former journalist and center-left Sen. Alejandro Guillier. Analysts had predicted a much closer contest, feeling Guillier had gained ground, although there had not been any opinion polls since the election's first round in November. Guillier, 64, had received the support of current President Michelle Bachelet, and had vowed to continue her plan to increase corporate taxes to partly finance an education overhaul, reform the constitution and improve the pension and health care system. But many Chileans have been disillusioned by lagging economic growth during Bachelet's administration, a problem based largely on lower international prices for copper, which is the backbone of Chile's economy. Many also feel she wavered on her promises of profound social changes in labor and education and the vote was largely seen as a referendum on her policies. On Sunday, Chileans elected Sebastián Piñera president. The runoff election followed a first round on Nov. 19 for both the executive and legislative branches. Piñera, of the right-leaning National Renovation party, represents the conservative Let’s Go Chile coalition. The president-elect defeated center-left candidate Alejandro Guillier, of the ruling New Majority coalition, by 9 points, turning the current government out of office. This will be Piñera’s second term in office. He governed Chile between 2009 and 2014. Turnout increased between the first and second round, but initial data suggests the growth heavily favored the right. While a large share of left voters who participated in November stayed home on Sunday, conservative voters who abstained in the first round showed up at much higher rates. 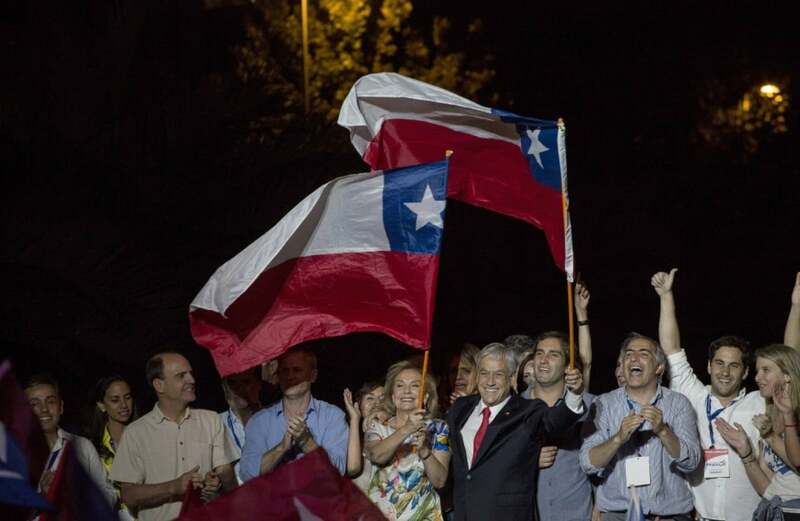 During Piñera’s acceptance speech, supporters could be heard singing “Chile has been saved.” Piñera, a businessman turned statesman, is ranked one of the world’s wealthiest politicians. He once owned the television channel Chilevision, a large share of Lan Chile airlines, and the Colo-Colo soccer team. Earlier this year, the billionaire was criticized in the media for his offshore holdings and use of tax havens. 1. Chile did not turn right. But the center is vanishing and the traditional parties have limited appeal. 2. The Broad Front vote cannot be transferred to other left parties. 3. Discontent and anti-establishment voting is on the rise. 4. Governing will be difficult and reform is unlikely. The center-right’s Piñera coasts to victory on a pledge of market reform. 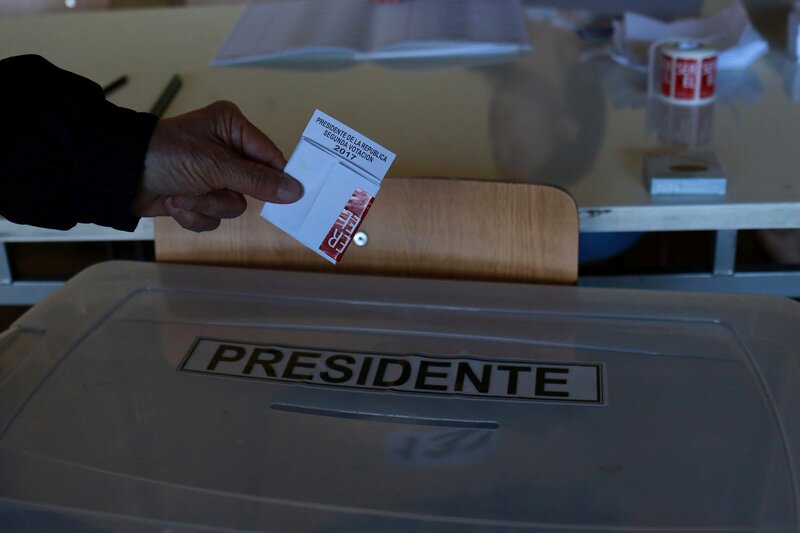 Chileans voted on Sunday in a runoff presidential election that was arguably the nation’s most important vote since the 1990 return to democracy. Center-right former President Sebastián Piñera, of the “Let’s Go Chile” coalition, ran on a platform to deepen market reforms and restore economic growth. Leftist Sen. Alejandro Guillier, candidate for the socialist “New Majority” coalition, promised to put social justice and government intervention in the economy above individual liberty. Ahead of the balloting Mr. Piñera—who got 36.6% of the vote in the first round against Mr. Guillier’s 22.7%—was narrowly favored. But pollsters said the race was too close to call. In the end Mr. Piñera won with some 54.5% of the vote; Mr. Guillier admitted it was “a tough defeat.” Yet the socialists gave Chileans who treasure freedom a scare. This election season ought to be seen as a shot across their bow. The failure of socialism in South America—particularly in Venezuela—is no secret. Nor is the success of the market economy in Chile, where the percentage of the population living in poverty fell to 11.7% in 2015 from 68% in 1990, according to the United Nations Development Programme. Yet Chile is increasingly polarized thanks to a public discourse dominated by the left. Chile’s right has spent more than three decades building institutions and refining policies in law and economics to create wealth. It imagined that the results of its work would be enough to build and sustain support. But the socialists have been busy too. They have spent their time and money organizing factions and going to the streets to denounce, as unjust, a society in which some have more than others. Organized labor, especially in education, has been central to this strategy. This campaign season—including the strong showing of hard-left candidate Beatriz Sánchez in the first round—shows how successful it has been. Some months ago Mr. Piñera was heavily favored to win, in part because during his first term as president from 2010 to 2014 Chile’s gross domestic product grew at an average annual rate of 5.3%. Odds also were with him because of the record of Socialist President Michelle Bachelet, who has been in office since 2014 and currently heads the New Majority—which includes the Communist Party—that was backing Mr. Guillier. Ms. Bachelet is an avid admirer of the late Fidel Castro and the Cuban military dictatorship. She has spent her presidency working to dismantle Chile’s liberal economic model and using the bully pulpit to rail against private initiative. Growth has suffered. GDP growth during her tenure, including the estimate for this year, is expected to average a paltry 1.8% annually.